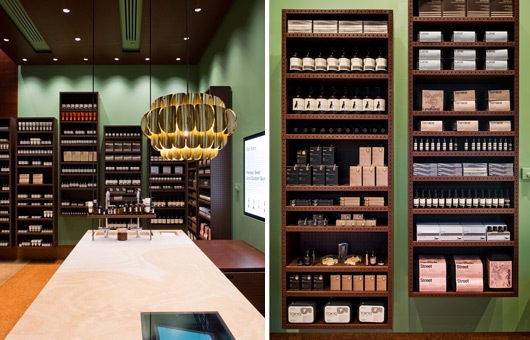 The New Generation Volkswagen ..
Anna Flanders explores the new Aesop store in Perth’s Claremont Quarter by Ryan Russell for Russell & George. 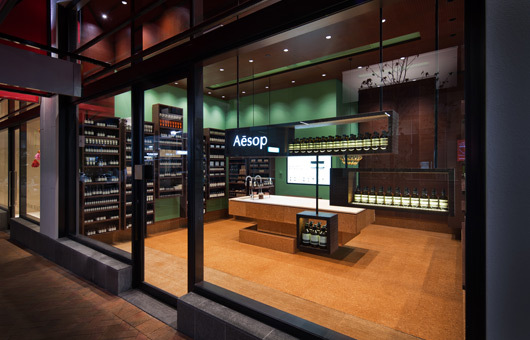 Local context was behind Aesop’s first West Australian store in Claremont Quarter, which is one of Perth’s most exciting retail developments. 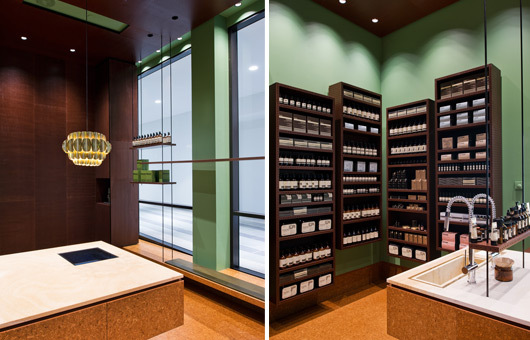 Melbourne-based Ryan Russell for Russell & George is the architect behind the design and he’s no stranger to the Aesop philosophy (think the award-winning Doncaster, Armadale, Chatswood, plus numerous counters in Australia and Asia). However, he says the Claremont space differs from the usual store design due to its position. “Every site has its own challenges and this one had a street and mall frontage, so we had to create a design to suit both. We went for a suspended element that echoes steel gantries, which are used in mining,” says Ryan, adding that mining and the WA landscape were references for the store. The Kimberley inspired the sandstone counter, which is the store’s centrepiece, given a hit of glam overhead with a gold-coloured vintage Danish pendant from Vamp Vintage Design. “We used [sandstone] on the counter because it is such a beautiful material to touch and as a colour contrast to the Aesop bottles,” says Ryan. 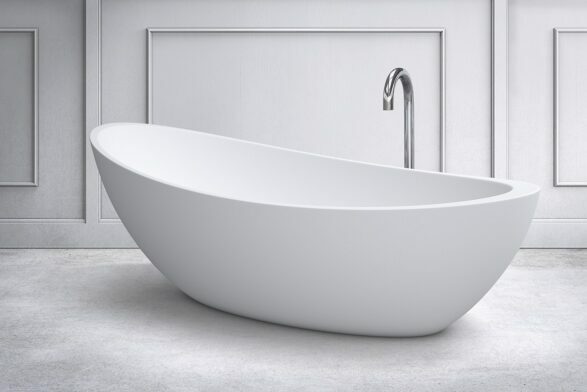 A custom-designed undermounted sink with industrial-style Gessi Oxygene Hi Tech mixers is to one side. 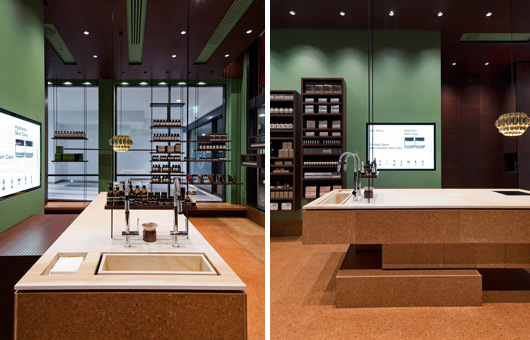 Cork has been used underfoot and to clad the counter – “a reference to the desert landscape” – for its acoustic properties and tactility. 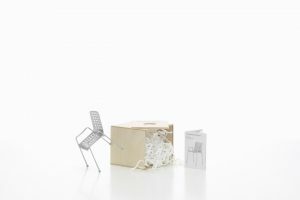 It’s complemented by a ceiling and walls of Masonite pegboard (using the dark side, which has been sealed for a darker tone) and contrasted with green paint (Dulux Yucca) within the pegboard cubes and on walls. 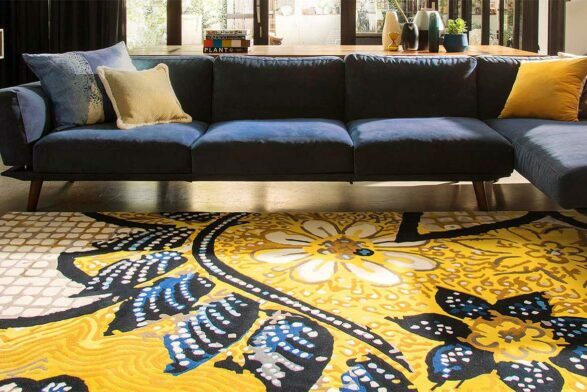 The colour gives an element of surprise and was inspired by the colour of the Indian Ocean off Rottnest Island, which is just off the west coast. “We wanted to make it inviting and comfortable and give it a level of interest and detail that provides intrigue and allows people to inhabit the space,” Ryan explains.